Having Canada geese on your private or public property can become a messy health problem. These nesting birds are attracted to grassy lands near water making parks, golf courses, beaches and playgrounds ideal locations for birds to flock. Once geese have found an area they like it can be very hard to get them to move. However, at Geese Relief we use specially trained goose dogs that have proven to be extremely effective in keeping geese off of private and public property. While Canada geese are not necessarily a threat to bite or attack they can be very territorial and if eggs are nesting they will do whatever it takes to protect their eggs. This means if children wander too close to a Canada geese nest, birds may act in an aggressive manner which can frighten most kids. Canada geese are also known for their droppings which can present health hazards and may contain e Coli and salmonella. In addition, the amount of droppings makes lawns and parks an eyesore and can ruin the landscape for years to come. 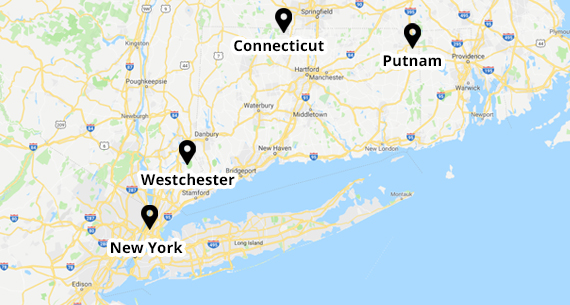 If you live in Connecticut or New York and are having trouble with geese populations on your lawn or office park, contact the pros at Geese Relief. The working Border Collies that make up the goose dog patrol will do the dirty work in keeping these nesting birds off your property in a humane and effective manner.